Since the term ‘student engagement’ (SE) was introduced into UK Higher Education, its meaning and physical participation has been heavily debated. With the adoption of SE into the Quality Assurance Agency’s (QAA) Quality Code chapter B5, there has been a mass creation of innovative forms of student participation across the UK. SE has been enhanced further by the ‘Manifesto for Partnership’ by NUS in 2012, where it was ideologically taken to the next level. This has given Student Unions everywhere the greatest opportunity to date, to empower the student voice through participation to create change in the student interest. The focus on SE acted as a catalyst to break down barriers in Higher Education. Winchester Student Union (WSU), in partnership with the University of Winchester (UoW), has been no different; creating new opportunities for participation and partnerships across their activities. 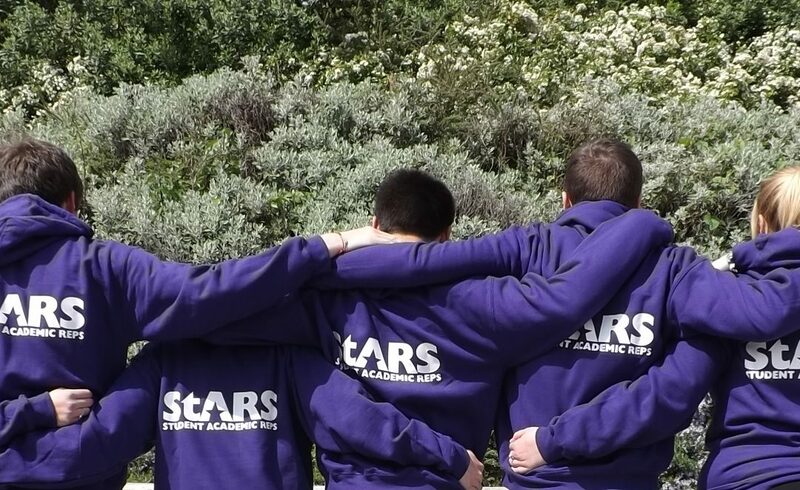 As with any institution of any size, Winchester’s Student Academic Representatives (StARs) course rep structure has been running for decades. StARs involve the participation of over 400 students, and are the core for student voice on every level of degree classification and pathway. The achievements of the Student Rep system are numerous (and immeasurable), and although largely unreported, they are an effective means of change within the courses. Our emphasis on StARs is to ensure we are utilising this core aspect of Student Engagement to develop solutions to problems and have students acting as change agents within the institution. What WSU strives to do is increase the capability of StARs through training, identity and value, to utilise this avenue as a strong means of student involvement. This will refocus course reps from a student voice participation, to active student engagement participation. The SU also ensures we complete quarterly forum meetings with the current StARs, to reflect on the design and strive to improve the structure. This would result in the student voice being empowered to contribute to curriculum design, introducing new ideas and breaking down the barriers to educational experience which will achieve far more, on a larger scale, than any ‘you said, we did’ survey could ever achieve. Our motivated stance to increase SE has been taken a step further with WSU working in partnership with the University, running two further student participations; the Student Fellows Scheme (SFS) and Student Panel Members. The SFS, engaging up to 60 students a year, is Winchester’s partnership scheme co-managed by WSU’s Vice President, Education and UoW’s Academic Quality Development Team. The scheme aims again to empower students through training: to work in partnership with academic and professional staff members across the University, conducting research and interventions to improve the student experience, and break down barriers to education. These projects focused on areas such as curriculum design, technology-enhanced learning and assessment and feedback (Sims et al, 2014). Student Panel Members are involved in the quality review of courses at revalidation and validation events, with the student voice at the forefront of course scrutiny and accountability in the student interest. In total, WSU and UoW hold the opportunity for approximately 500 students to actively participate in with Student Engagement roles. Additionally, students not directly involved in these opportunities are invited to express their voice through those who are. The question is often posed, however, whether even more students should be involved with student/educational engagements. With this comes the possibility of an unobtainable target where all students are involved with SE. Where this new thinking will lead to is uncertain, however it is clear that a new perspective can now be achieved in regards to all student participation. Even though these six criteria have further potential for expansion, most varieties of participation will fit into either one or two of the categories, and therefore can be measured through contact time and level of impact on other students’ experience. Therefore, the value of varying forms of student participation to the institutions (UoW and WSU) can be mapped, even if previously they were deemed incomparable or irrelevant to each other. For example; the impact of a Student Fellow driving institutional change through working in partnership, could be similar in contact time and impact on other students, as one who is Captain of the Cricket team, or a student organising a voluntary welfare event, such as the ‘Winchester Body Gossip on Tour’. The target of having all students participating directly in ‘SE’ is probably unachievable – however all students engaged in participation around the University experience certainly is achievable, and could be linked to retention and student satisfaction. Therefore, it is absolutely vital for all institutions to ensure improvement in the current aspects of student engagement accessibility, especially when reviewing employability. This will ensure the improvements are fresh and reviewed each year, meaning they would not become outmoded and dated forms of participation, whether ‘SE’ or not.